The staff at the Canoe Club Ballroom will assist you in the planning of your get-together with family, friends, or your corporate gathering with co-workers. We have put together menus that simplify the planning process. We are truly excited to host your event and will make every effort to ensure that you and your guests enjoy your gathering. 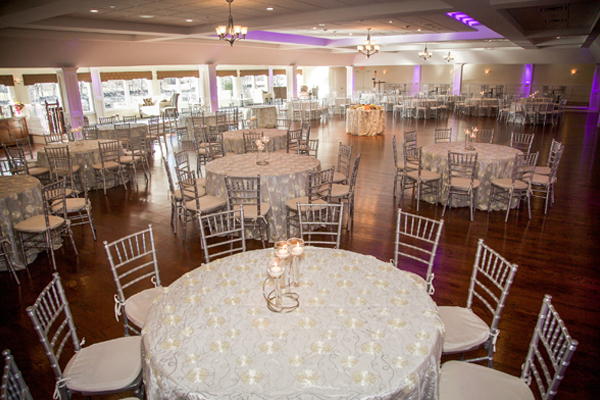 The Canoe Club Ballroom is happy to accommodate 60-250 guests. All menu selections are priced per person and all prices are subject to a 20% administration fee and 7% MA meals tax. Weddings, proms, mitzvahs, and quinceaneras may be booked at any time. All other events must be booked within 4 months of the date of your event. Two acres of beautifully landscaped courtyard with a "Two-Tiered Gazebo" all nestled riverside. 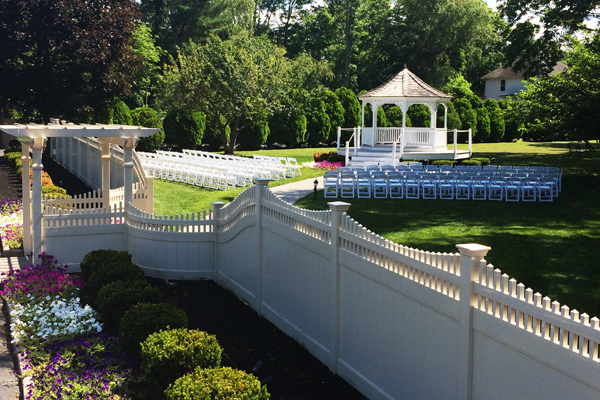 You and your guests will enjoy the exclusive use of the Canoe Club Ballroom and our two acres of beautifully landscaped grounds. Our two-tiered gazebo, courtyard with a new bridge in the background, and riverside view make an elegant setting for photo taking. Adjacent to our property there is a local park with water falls, beautiful backgrounds, and a covered bridge. Our interior offers many benefits for you and your guests. Not only do we have the largest dancefloor in New England, but we also offer a large designated private suite and photo area as well as an additional small private room. Our new lounge area overlooks the beautiful Nunckatesset River and is adorned with comfortable furniture which offers an inviting and elegant atmosphere for your closest friends and family members as they mingle and enjoy your special day.